This undated photo provided by the Wisconsin Historical Society shows First Lt. Alonzo Cushing. AN AMERICAN CIVIL War soldier is to be honoured with the nation’s highest military decoration 151 years after his death. The White House announced Wednesday that President Barack Obama will give the Medal of Honour to Alonzo H. Cushing. His descendants and Civil War buffs have been pushing for the Union Army lieutenant killed at Gettysburg, Pennsylvania to receive the award. 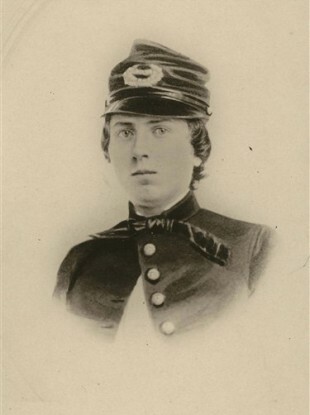 Cushing, who was from Wisconsin, commanded a force to the front lines on the last of a three-day battle at Gettysburg and was killed by a Confederate bullet to the head. Confederate soldiers eventually retreated in the battle, and the South never recovered from the defeat. The White House says Obama also will award the medal to two Vietnam War soldiers in a ceremony on 15 September. Email “This man is getting a US Medal of Honour - 151 years after his death”. Feedback on “This man is getting a US Medal of Honour - 151 years after his death”.